See in Glossary are an example of real-world use of Render Textures for making real-time reflections and refractions. See in Glossary is different from most Inspectors, but very similar to the Texture Inspector. 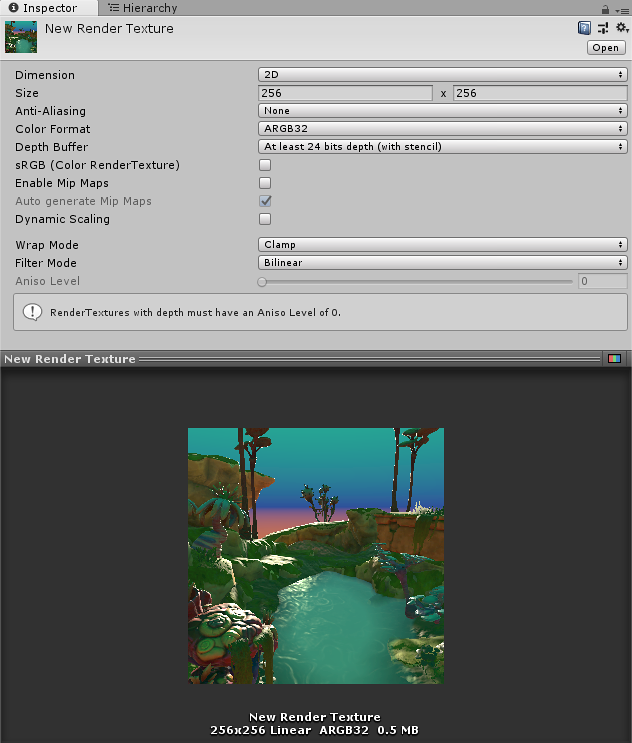 The Render Texture inspector displays the current contents of Render Texture in realtime and can be an invaluable debugging tool for effects that use render textures. See in Glossary. You can only enter power-of-two values, such as 128 and 256. Color Format The color format of the render texture. See in Glossary, it is useful to have Clamp on the vertical coordinate (V axis), but Repeat on the horizontal coordinate (U axis). See in Glossary Anisotropic filtering level of the texture. This increases texture quality when you view the texture at a steep angle. Good for floor, ground, or road textures. Create a new Render Texture asset using Assets >Create >Render Texture. Create a new Camera using GameObject > Camera. Assign the Render Texture to the Target Texture of the new Camera. Drag the Render Texture onto it to create a Material that uses the render texture. 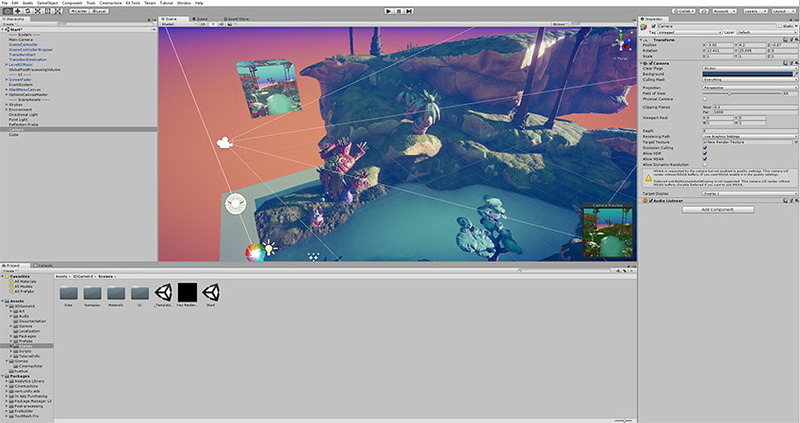 Enter Play Mode, and observe that the box’s texture is updated in real-time based on the new Camera’s output.